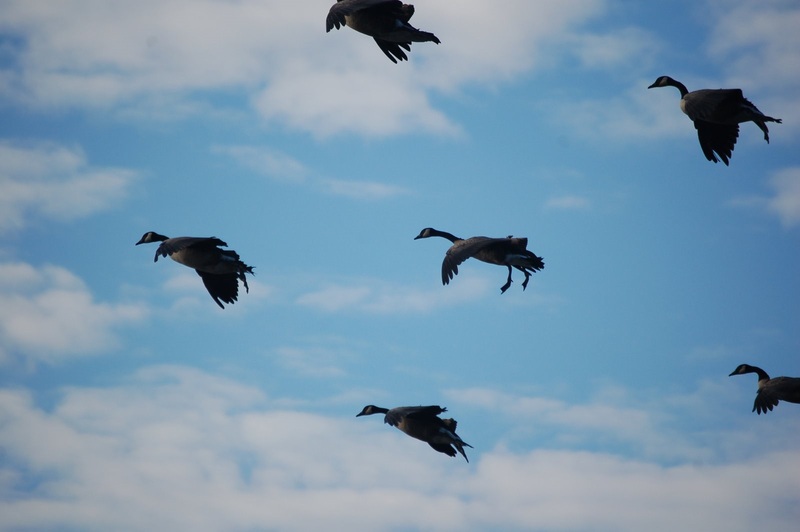 Colorado Goose Hunting Tips: How do I get geese into shooting range? Here is a good colorado goose hunting tip…..There’s nothing better than watching someone get their first bird. The complete exhilaration they feel when they realize that all the prep they’ve put in has finally paid off. But how do you get to that point? With geese, you’ll see people dump 15-30 dozen decoys out of their trailer. These hunters usually do well if they know how call, flag, and cover up properly. But what about those who don’t have the financial resources to afford a trailer or 10+ dozen decoys or the other equipment they ma y need? Those who aren’t in clubs that provide pits will also need to improvise. If you’re hunting out of a layout blind. The most important thing to consider is concealment. There have been many aerial pictures taken of decoy spreads that have layout blinds in them. The layouts usually “stick out like a sore thumb”. A good solution to this issue can be to put a shell decoy on top of your blind that is “zip tied” to the straps on one side. This won’t solve the entire concealment issue, but it’s a good start. If you have neither a pit nor a layout, laying down in the field can be an acceptable alternative (although very problematic). If you’re in a corn field, you can cover yourself with stalks and set decoys up around you. Be sure to be extremely still when birds are coming in. Now that you’re equipment is all set, how do you go about getting birds to notice you and decoy? Flagging is extremely effective but many people tend to over flag. It’s important to learn how to read birds, which only comes with experience. When you see birds off in the distance, get up as high as you can and wave the flag up and down vigorously. As the birds get closer, wave the flag once or twice then put it flat on the ground. At this time, you have the birds interest so be careful. If birds are working the dekes (right on top or flying in circles around the perimeter of your spread), keep that flag down unless birds turn away. As the season moves on and birds become wary, many experienced hunters will pull their flags into the pit as birds get closer. Once again, the decision on when and if to do that will only come with experience. I hope you enjoyed reading my colorado goose hunting tips and tricks. Check back from time to time I will be adding more colorado goose hunting tips for you.